The church of S. Gaetano was founded in the 17th century by the sailors and fishermen of the Forio marine. In 1857 the church was restored, but the its original external lines were preserved. The interior of the building is dominated by the Baroque style, which emerges in the altar workmanship and its rich decoration made of stucco. The church of S. Gaetano is elevated in comparison to the road level and it can be reached through a double ramp of stairs. The building has a Latin cross-shaped plant with a large transept. The most interesting part is the façade, its shape gets smaller going up because of the presence of buttresses on the side flanks. The doorway is made of gray stone and is topped by a triangular tympanum. It has a pediment with gray stone spires in gothic style and a curved window with rounded corners of Baroque style. The interior decoration of the church, following the models of the Neapolitan school of the eighteenth century, is very rich and extravagant. The floor of the Church of S. Gaetano, of the first half of the nineteenth century, was made with majolica tiles of the blue colour on a white background representing a geometric design. On the main wall inside you can find a painting by Alfonso Di Spigna of 1764, depicting the Glory of the Virgin with San Gaetano and San Francesco Saverio. The rest of the works, especially devotional ones, were made by artists left unknown and date back to the eighteenth century. On the left above the altar in the chapel there are two canvases of the second half of the eighteenth century representing la Madonna and San Giovanni. Do not forget to see the painting of Vincenzo Ferrer of the second half of the seventeenth century, placed in the chapel in the left aisle part. 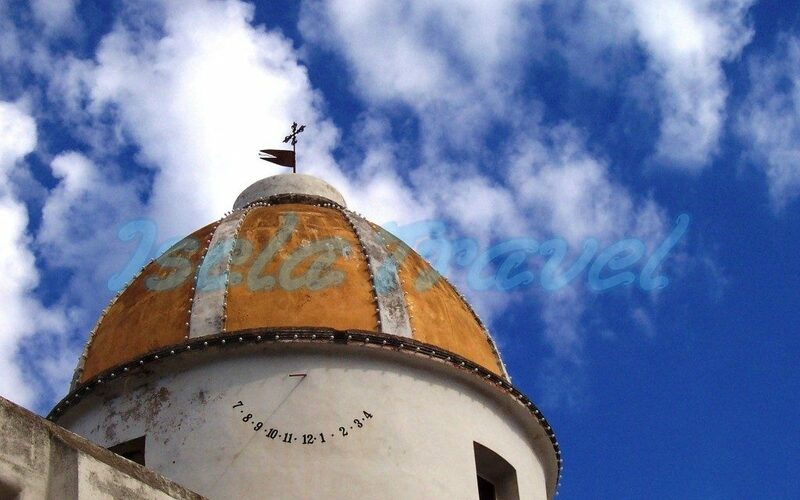 Do you want to visit "The church of S. Gaetano" during your holidays in Ischia?